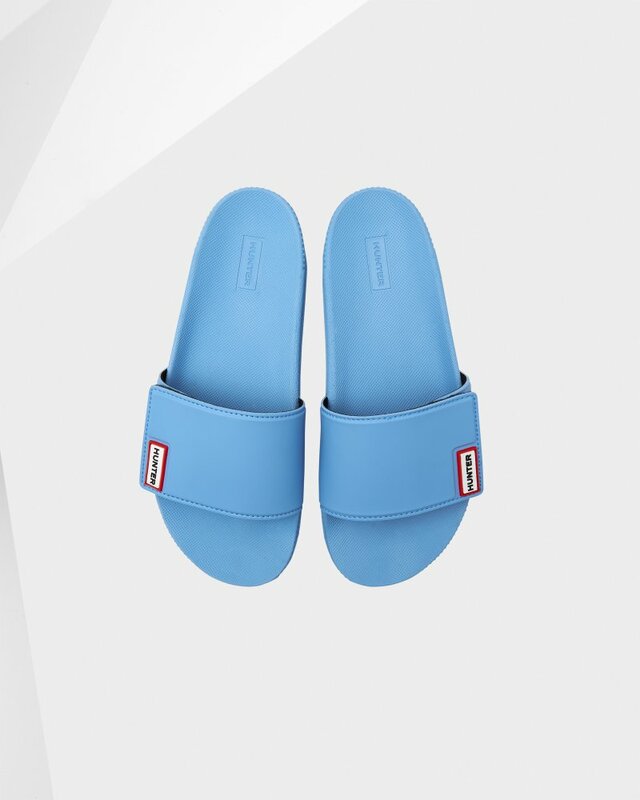 Women's Original Adjustable Slides is rated 3.9 out of 5 by 37. From lounging at home, to relaxing by the poolside and strolling sun-kissed streets, the Original Adjustable Slide is about comfort in every step. With a soft foam upper and lightweight footbed this women's summer sandal is breathable and flexible with an adjustable velcro strap for a customisable fit. Rated 4 out of 5 by Kim C. from Cute but stiff Cute, but stiff. Will need to break in before use. Rated 3 out of 5 by Ceeeeeeceeeee from Nice but sizing is off Bought these for a quick change after spin class, but they look to small/ are cut small. I’m usually a 7.5/8 in sandals. I got a 7 bc that’s what I wear in the boots. If I reorder I’ll prob get them in an 8 next time. Rather feel like the shoe fits properly instead of it being to small. Rated 5 out of 5 by Tania from Perfect for lake, pedicure day and home Very lite and comfortable no complains. since I got them on sale there was not much of a risk. Rated 4 out of 5 by emsav97 from Love these shoes, could fit a couple things I have a red pair that I got over the summer and they started ripping so I bought a white pair about a month ago and I actually love these shoes even if they do rip a little. They have a super light feeling to them and they are perfect for summer time! Also super cute colors. Rated 1 out of 5 by Disappointed from bad friction Within the first half hour of wearing these pool side sliders, my big toe had bad abrasions. Rated 1 out of 5 by Mellytheshopper from Cute but... While the style and colors are very fun and cute, the product itself feels cheap and plastic. I have purchased cheaper slides from other well known athletic brands, and this product can't even compare to the comfort and quality as the cheaper slides. I'm keeping what I have to avoid the hassle of returning, but I don't recommend this product. I wouldn't even purchase if it went on sale. Sad to say, this product isn't like your other merchandise. Rated 5 out of 5 by ymee from So cute! Needed a pair of slides because I couldn't wear flip flops while wearing yoga socks. These are perfect! I love that you can adjust them in case your foot is narrow.